Long Beach, Calif. – October 9, 2015 – Formula DRIFT PRO 2 completed the final event of the 2015 season at Irwindale Speedway. Juha Rintanen in the Juha Rintanen Motorsports Nissan S14 takes the event victory while Alex Heilbrunn in the IMR BMW 3-Series wins the PRO 2 championship. The PRO 2 finals provided an action packed evening for the Friday night crowd. Rintanen, the number one qualifier, met Cameron Moore in the final battle. 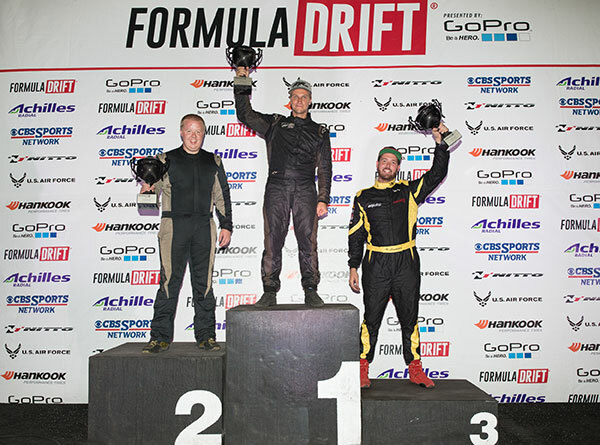 Rintanen out drove his opponent to take his first PRO 2 victory and move up to third in the overall PRO 2 standings. 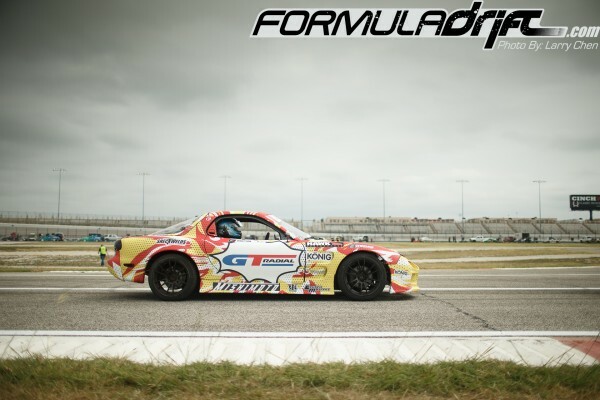 The top eight finishers in PRO 2 will earn or renew their Formula DRIFT Pro license next season. 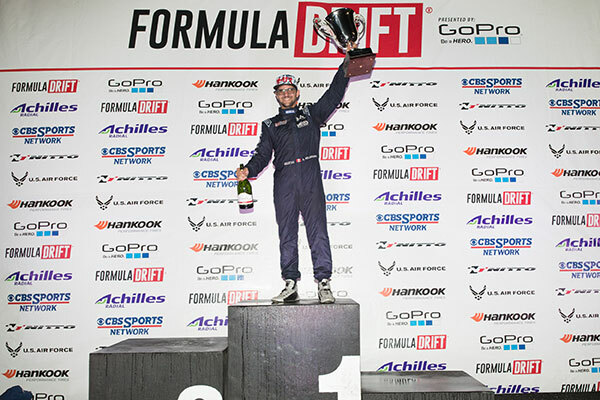 Peruvian driver, Heilbrunn put the finishing touch on his successful season with a fifth place finish to take the PRO 2 championship. Despite not finding the podium, Heilbrunn accumulated enough points through the season to enter the Finals with the title clinched.